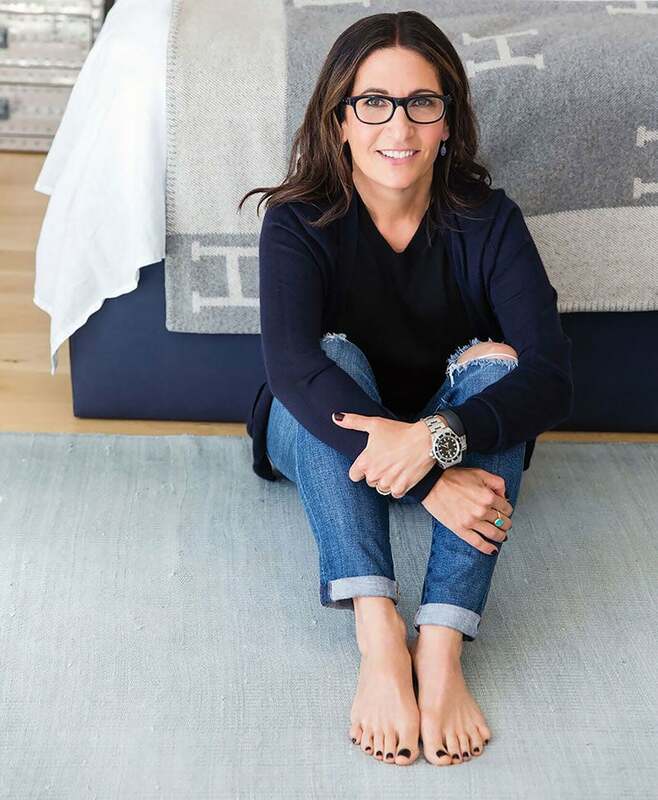 There’s no disputing that Bobbi Brown is a titan of beauty: Though best known for her eponymously named Bobbi Brown Cosmetics beauty line, which revolutionized the beauty industry by glamourizing natural tones in makeup, Brown didn’t stop there. In fact, she has created several entrepreneurial ventures, her latest being EVOLUTION_18, a lifestyle-inspired wellness brand. Besides being a world-renowned makeup artist who built an empire on ten simple lipsticks she created, she’s a best-selling author, sought-after speaker and serial entrepreneur. She has written nine beauty and wellness books, and has launched her new line since leaving Bobbi Brown Cosmetics in October 2016. I built Bobbi Brown Cosmetics with a lipstick and the simple idea that makeup should look natural, and be easy to apply. I was inspired to create my own line, because of the lack of products that were available that didn’t need mixing or blending. I was born a builder. I had a store in my basement as a kid with two friends. We made things with the hopes to sell them, but quickly learned that there were no customers or foot traffic. The first woman I ever looked up to was my Aunt Alice. She worked with her husband to run his business while raising three kids. They had car dealerships in Chicago, and she was in the office on the floor every day, while still managing to take care of her family. She’s one of the most down to earth, amazing people I’ve ever met. Also, [actress] Ali MacGraw changed my life when I saw her in the movie Love Story because she was the first woman I ever related to that was naturally beautiful and confidant. I am not afraid of risk, and I’ve taken many, from launching a company with one lipstick, to creating different types of products that I didn’t know were going to be popular. (At the time, 40 different shades of foundation was unheard of). Then, there was my biggest risk of all: leaving the brand I founded and starting new companies: EVOLUTION_18, The George Hotel, justBOBBI.com, 18 Label Studios and some others [as yet] unnamed. Being an entrepreneur is really fascinating because some days I think I am unstoppable, and some days I think, ”What am I doing?” I manage it by exercising, and sometimes drinking vodka! It is not ever easy to make a change. Occasionally, it works to strategize and make a plan, but other times you have to jump in, and do it. Sometimes you don’t realize you were not happy until you look back. My bravest moment was dancing on stage with Flo Rida. He asked me on stage and without thinking I just went for it. Actually, leaving my brand took a lot of courage, and jumping into new projects right away was exciting, but also pretty scary. There is nothing that I would change in my life, except I probably wouldn’t have given up running or lifting weights when I was really young. I’m a little inconsistent with my exercise. I am in the process of building a lifestyle company that includes a hotel, digital magazine and wellness products — all things to help people be better versions of themselves. At a time when stark contours and shiny red lips were in fashion, Bobbi Brown designed cosmetics to highlight a woman’s natural look, and introduced Bobbi Brown Essentials, in 1991. This line of color cosmetics revolutionized the industry. The original brown-based lipstick shades offered a simple, edited way for all women to embrace and highlight their lips. Other groundbreaking products soon followed. Brown’s philosophy is straightforward: “Women want to look and feel like themselves, only prettier and more confident,” she says. In 1995, Bobbi Brown Cosmetics was acquired by The Estée Lauder Companies. Brown stayed on to serve as chief creative officer, building a billion-dollar brand. But, unwilling to rest on her laurels, Bobbi has returned to her roots as an entrepreneur. Her latest endeavor is EVOLUTION_18, a line of lifestyle-inspired wellness products that launched in spring 2018. JustBobbi.com, is a lifestyle platform where Brown shares many of her life inspirations. In addition, with her husband, Steven Plofker, Brown recently opened The George, a 32-room boutique hotel, in Montclair, N.J. Her gift for translating trends into real-life applications has made her a sought-after expert on television and a subject for profiles in magazines and newspapers. She is also the beauty and lifestyle editor of Elvis Duran and the Morning Show, and author of nine books, several of them New York Times bestsellers. She continues to work editorially, writing columns for the websites Charlotte’s Book and PureWow and the TV program Naturally, Danny Seo. A graduate of Emerson College, Brown has received the Glamour Woman of the Year Award, The Fashion Group International Night of Stars Beauty Award and the Jackie Robinson Foundation’s ROBIE Humanitarian Award, to name a few. She was appointed by President Obama to the Advisory Committee for Trade Policy and Negotiation, and has been inducted into the New Jersey Hall of Fame. She also holds honorary doctorates from Montclair State University, the Fashion Institute of Technology, Monmouth University and Emerson College.